For those who may not be aware, this website, while I would like for it to be, isn’t my actual day job. I work hard day in and day out so I can buy all the fancy new gadgets that I want and can afford and try to get them as soon as humanly possible. 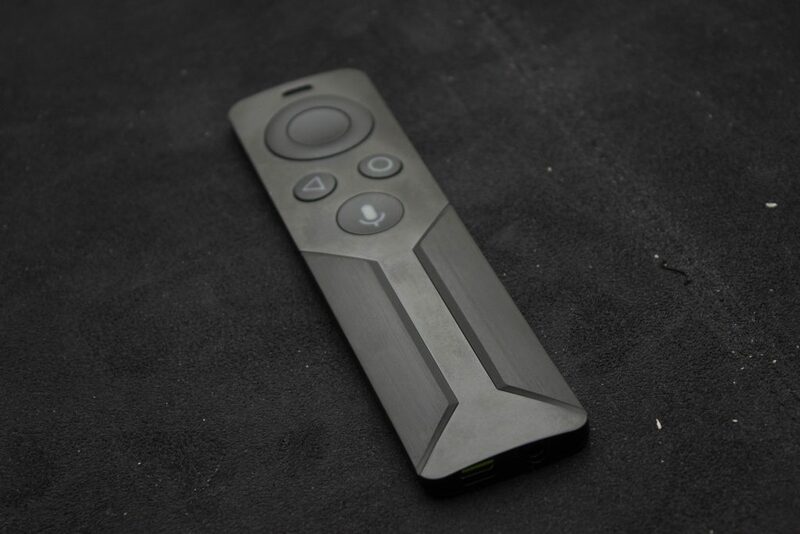 Sometimes, that isn’t the case and one such example of that is the Nvidia Shield TV. In order to give my wife something to give me for Christmas this past December, I had to hold of buying one back in September in order for her to pick one up for me. It almost seem that I may have just received in the knick of time as my Nexus Player just up and died on me. I honestly don’t even know when it did that as I hadn’t really used it much since I moved it out of our bedroom and into my office. Now that I finally have newest shiny thing in the lab, let’s take it through its paces shall we? Courtesy of Android Central, who referred to the device as a console, the Shield TV contains a Tegra X1 processor with a 256-core Maxwell GPU with 3GB of RAM. It is capable of 4K playback with up to 7.1 surround sound. For the gamers it can record gameplay up to 60 frames per second. Internal storage is kind of light but isn’t that much of an issue. It sports 16GB of internal storage, but with microSD and two USB 3.0 ports on the back, you can increase the storage to whatever you like. On the connectivity front, the device has the ability to connect to 802.11ac on both 2.4GHz and 5GHz bands. You also have Bluetooth 4.1 support as well. If wired is more your speed, you have gigabit ethernet for networking and the aforementioned USB ports to plug in compatiable controllers for playing, charging, or both! There is also an IR receiver on the device if you would like to use old school TV remotes. According to Tim Cook, the future in TV is apps and I must say that’s why I’m in love with Android TV. Even though it adds to the redundancy of set-top boxes, so far, this is the best one I’ve owned. One of the things that sets this box over the top is the fact that it seems like it was first dreamed up as a gaming machine. Where other devices like the Ouya tried the whole Android gaming console thing before and have fallen short. 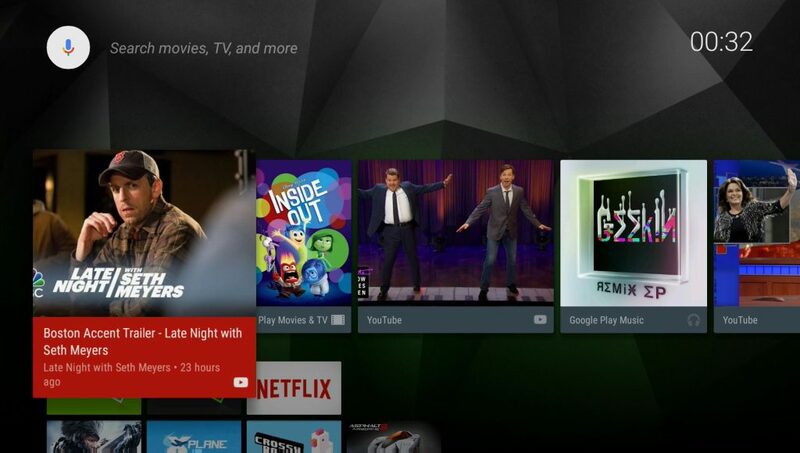 The Shield TV does things better, in my opinion, by using the Android TV platform for a base and adding the Nvidia flare to it. 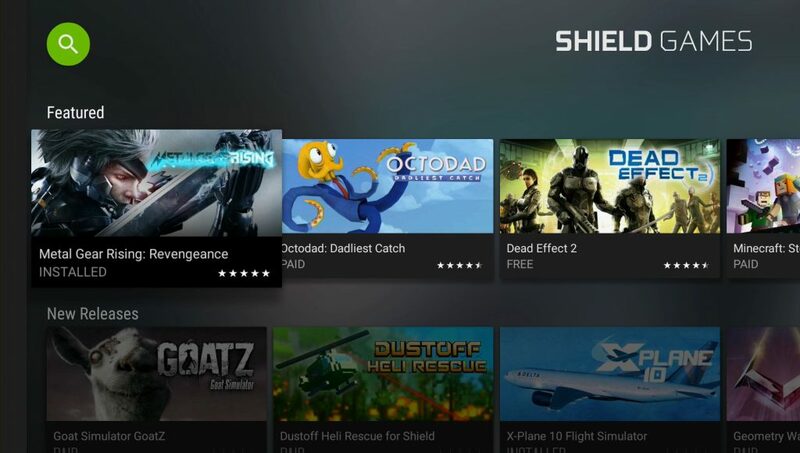 The Nvidia flare that I’m speaking of is the Shield Hub suite of apps. 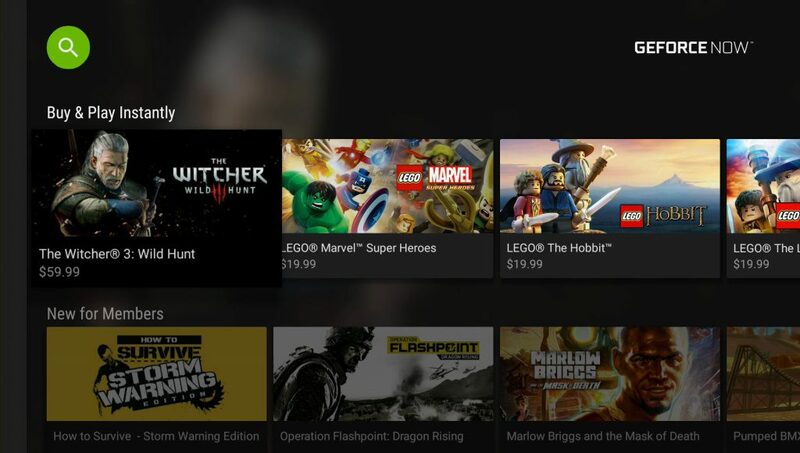 It includes the Shield Games app which appears to be a wrapper for the Google Play store that seperates Shield-optimized games from the rest of the store. The other app included is the GeForce Now app. This app allows you to stream games using the service of the same name. This is where the gigabit ethernet connection comes into play. There will obviously be serious latency while playing over a wireless connection, but when connected to a decent wired connection, you will be playing some top-quality PC games running at 60 FPS. One of the best things that I like about the system is that it does feel like a console. Nowadays, a console wouldn’t be complete if it didn’t have media apps. The fact that the Shield TV is packaged with a controller makes this one of the best portable consoles I’ve ever had the pleasure of using. You begin to learn in life that sometimes you can’t have things both ways. The Shield TV falls into that category. 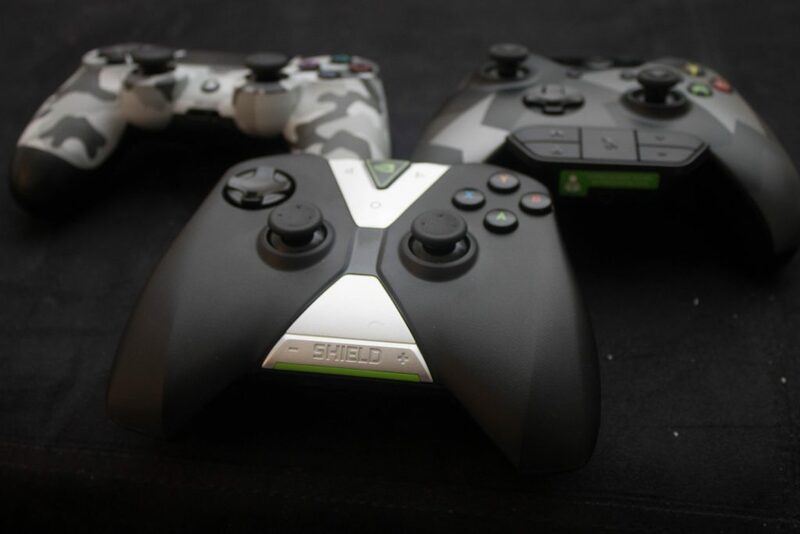 Due to its classification as a console, the Shield TV comes with a controller and not a remote. This isn’t necessarily a bad thing, but it would be nice to have some sort of remote and not to have a bulky controller to watch TV and movies. Then again, I would love to have the same type of remote for my Xbox One and PS4. Speaking of the bulky controller, it isn’t all that comfortable to use. I ended up looking for other controllers to use. While my Xbox One controller didn’t work (for obvious reasons), my PlayStation 4 controller worked with varying degrees of success. But it isn’t all just hardware issues. While I may be in love with Android in all its many forms, it isn’t without its faults. One of the biggest issues that I’ve come across is in storage. I have run into issues with installing additional assets from games like Metal Gear Rising and The Talos Principle. There is an option in the storage settings to move apps directly to external storage upon installation, but it woudn’t be something you would know to do until after you’ve run into issues with installing huge Android games. There is supposed to be a huge fix being included in the Shield TV’s Android 6.0 “Marshmallow” update, but we’ll see if this alleviates the issue. There aren’t that many Android TVs out there and, I’ll admit, I’ve only used one of them. I do feel that the Nvidia Shield TV is one of the best in the market. Although, with GeForce Now lacking in the amount AAA games they have in there streaming library, I would totally recommend this device for people who would like to get into gaming but may not have the money for a gaming console or a powerful gaming rig.